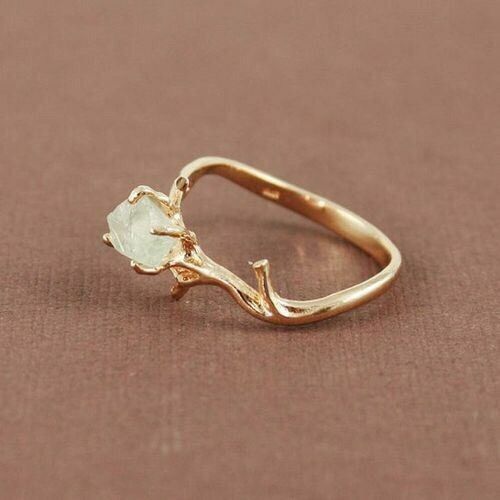 Kasen loved this rough diamond twig ring but wanted to change a couple of things. First and formost he wanted to make sure the twigs would never get snagged on anything. 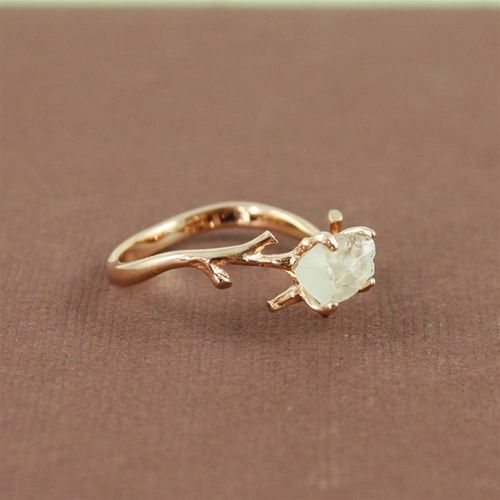 He wanted to add a subtle hammered texture at the top prongs and have prongs that sweep out slightly wider than the stone, and wrap up just a little over the top of it. Here are the inspiration images he sent. 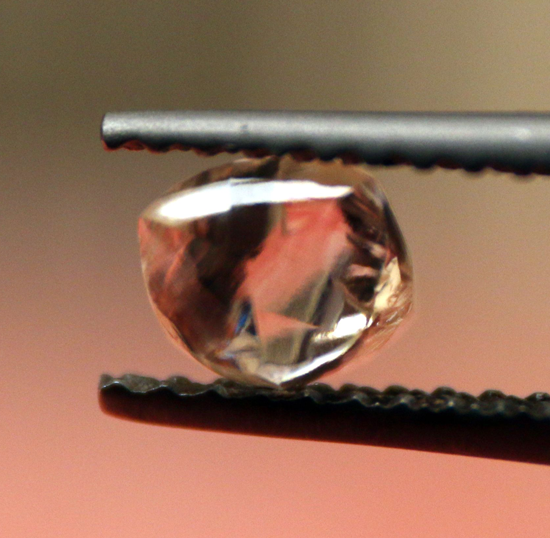 We chose a 0.61ct VVS1 rough diamond for Kasen. After many revisions we got the texture and shape just as Kasen wanted. 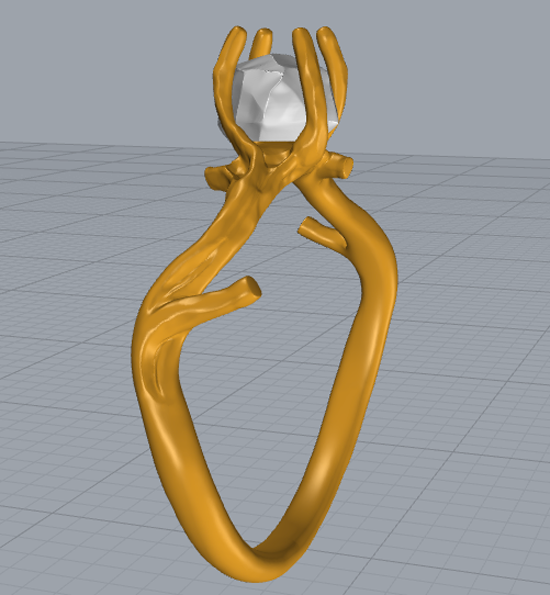 We ended up making the band in the 3d design but hand carved the prongs so they fit perfectly over the diamond. Kasen’s now fiance LOVES the ring. The texture tuned out perfectly with a subtle hammer on the snag free twigs beautifully holding the stunningly clear rough diamond.